During the second year of my master's degree in computer science, a classmate and I audited a course on quantum computing. At the time, quantum computing had begun popping up in popular culture and we were interested in separating fact from science fiction. We came out of that class excited about the awesome power of quantum computing, but with a newfound appreciation of how much technical work was needed to build a functioning quantum computer (and also, physics is hard). Quantum computing will deliver computers that are orders of magnitude faster at solving some of the world's hardest computing problems. A classical bit (a bit being the fundamental building block of computation) can only be in one state (1 or 0); however, a quantum bit (qubit) can be in both states at the same time (1 and 0). Multiple qubits can be “entangled” such that the state of one qubit impacts the other. As you increase the number of qubits, you exponentially increase the number of states that the computer can be in simultaneously. Each additional qubit, doubles the power of the computer. At first this leads to trivial improvements compared to existing computational power, but then laws of exponential growth kick in with each additional qubit, leading to a machine that will be vastly more powerful. 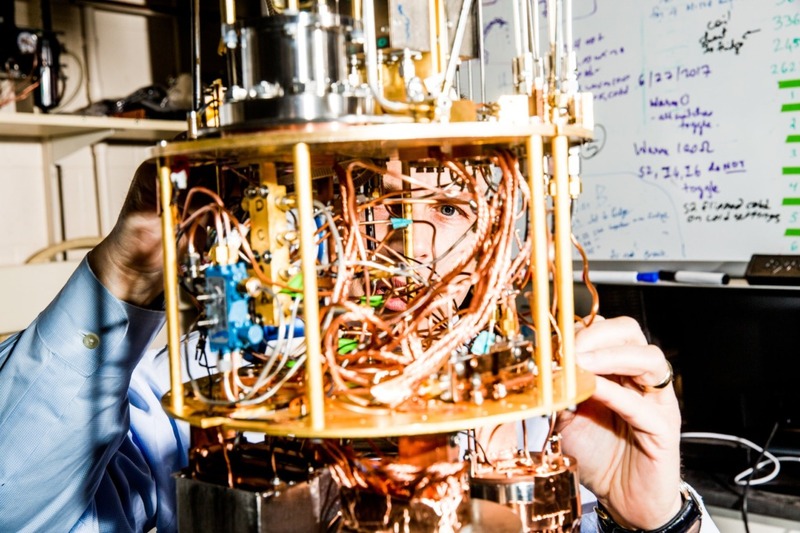 Over the past decade the science of quantum computing has moved dramatically forward, and today we are at a point where the consensus among the experts is that the technology is ready to move out of academic labs and into production. And so, we were thrilled to get to know the leaders of the Yale Quantum Institute as they began building a commercial vehicle for their technology – Quantum Circuits (QCI). The Canaan team has been privileged to partner with leading academics in their fields as they commercialize the work of their labs and this team at Yale is widely recognized as the leading academic group in quantum. Rob, Michel and Luigi pioneered the super conducting approach to creating qubits that is widely cited as responsible for most of the quantum computing breakthroughs over the past decade. In fact, many of the largest tech players have abandoned their previous work in order to adopt the Yale team's approach. It's not every day you see academics thinking practically from day one. But that's exactly what the founding team at QCI is doing. Not only are they building a machine that will be modular in design – and therefore more scalable – they're considering practical applications and the engineering team to help them get there from the outset. I am very excited to partner with Rob, Michel and Luigi as they build the first powerful quantum computers. And to the masters students of today, I encourage you to take that quantum computing class (for credit) so you can understand the foundations of the next generation of computation.